Geiger counters are great for detecting and measuring ionizing radiation but their biggest flaw is that they can't discriminate between the different types of radiation; alpha, beta or gamma. Icohup's Rium detector addresses this with a compact and stylishly wooden unit. Allante and Billy discuss the benefits of radiation detectors without mentioning a single nuclear disaster. 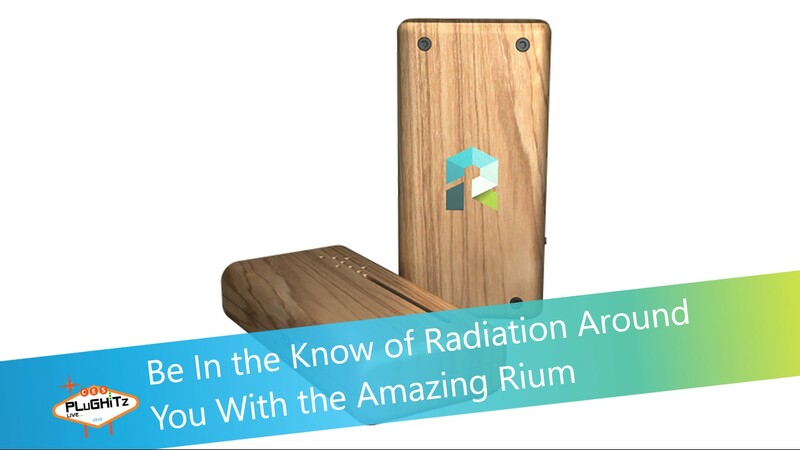 Winner of a CES Innovation award, Icohup's Rium uses scintillation spectrometry technology to not only detect levels of ionizing radiation but also the type. This means that the Rium can determine if the radioactivity is natural or industrial, or if it's a Cobalt, Uranium or Cesium source. The Rium unit is about the size of a packet of biscuits and is tastefully made of wood. Not sure if there's a scientific reason for this, though it looks good anyway, and the small size means that it can be carried by a drone to record radioactivity in potentially hazardous areas. Data is collected and displayed by a nearby smartphone and with geotagging of the radiation information, maps can be built easily to show radiation hotspots. The data can be transferred either by Bluetooth or by USB. The Rium will be available shortly from Icohup for EUR399 (about $500). The company is also currently in development of other detectors, such as carbon monoxide and radon gas, for future production.